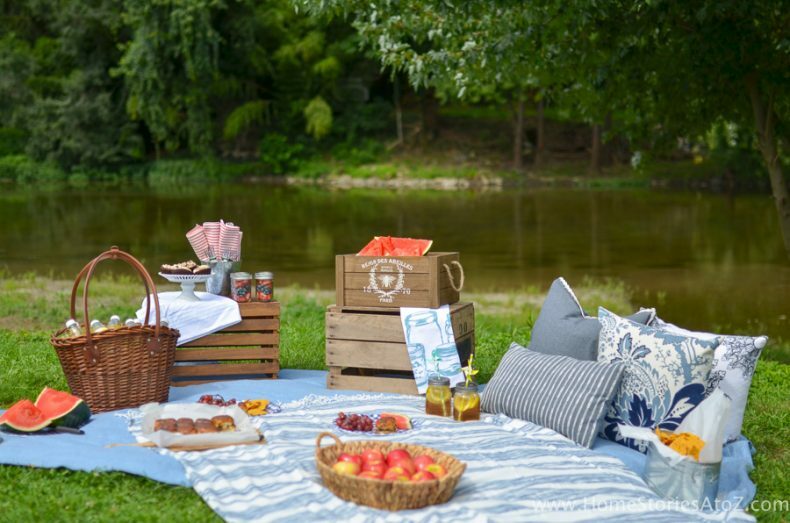 Summer is winding down, the kids are headed back to school, and the weather is perfect for spontaneous picnics in the park! This time of year often brings with it new beginnings and renewed routines. It’s a wonderful time to awaken to the moments that matter by turning a weeknight supper into a memory that will last forever. Tip 1: Scout out your location before you go. 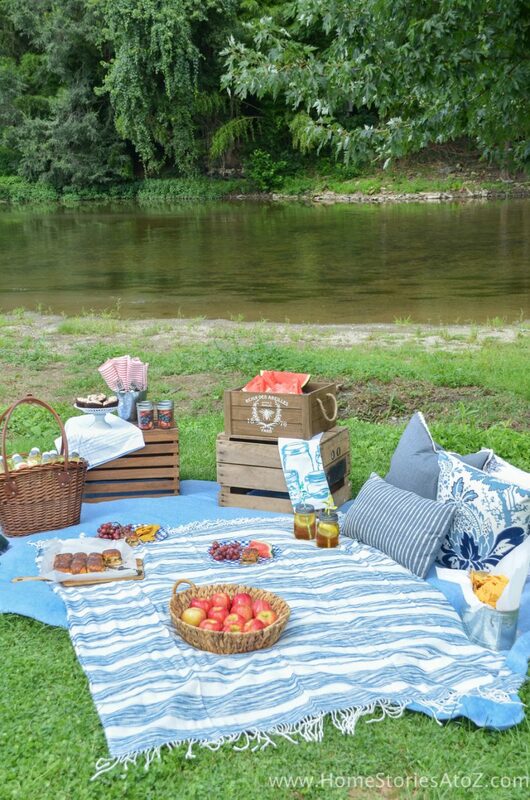 My family loves to picnic by the water, so I’m always on the lookout for fun and secluded picnic spots near a creek, river, or lake! I’ve learned that it’s always a good idea to familiarize yourself with your picnic destination before you head out the door. Knowing exactly where you’re going, and if you need a park or pavilion permit to enter, will help eliminate any surprises. Tip 2: Make a main dish that is delicious yet simple. 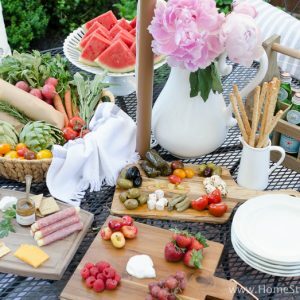 Preparing food for a picnic should be easy, delicious, and stress free! 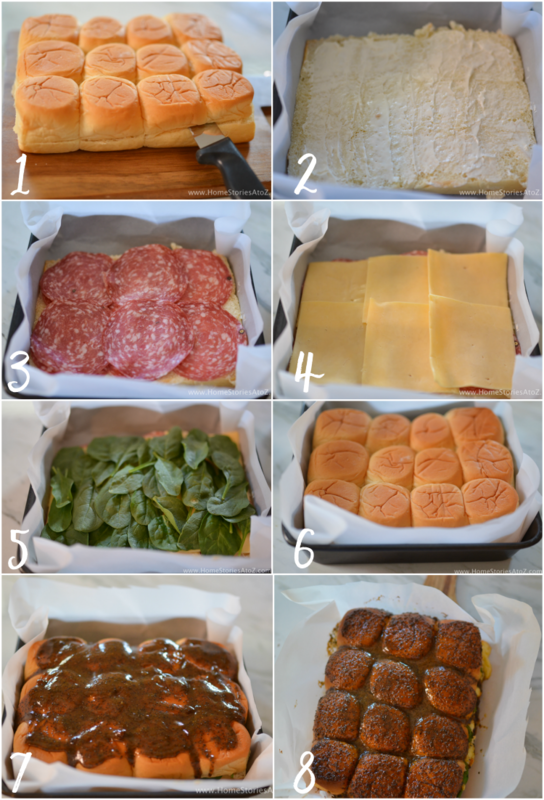 I love to make Gouda and Salami Sliders for an easy picnic treat that feels fancy but is no-fuss. This reimagined version of your basic “ham and cheese slider” uses gourmet ingredients and a special sauce. 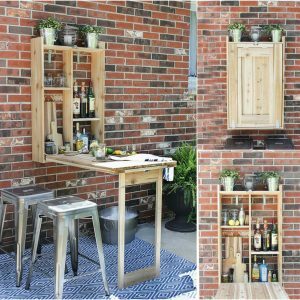 They are so good and can be made within minutes. Remove rolls from packaging and cut all rolls in half. Remove the top layer. Cover bottom layer of rolls with mayo. Place salami on rolls until covered, followed by cheese, and spinach. Replace the top layer on rolls. Bake at 400• for 10 minutes. Melt butter. Add brown sugar, mustard, poppy seeds, and Worcestershire sauce to melted butter and stir until well-combined. I bring the entire pan straight from the oven, covered with a cutting board, and wrapped in a tea towel. 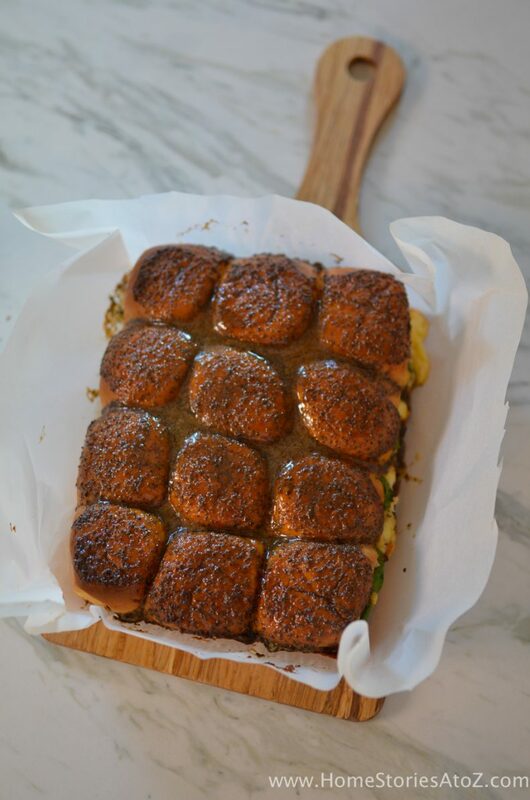 When ready to serve, I simply pick up the parchment paper from the pan and plop the sliders onto the cutting board. 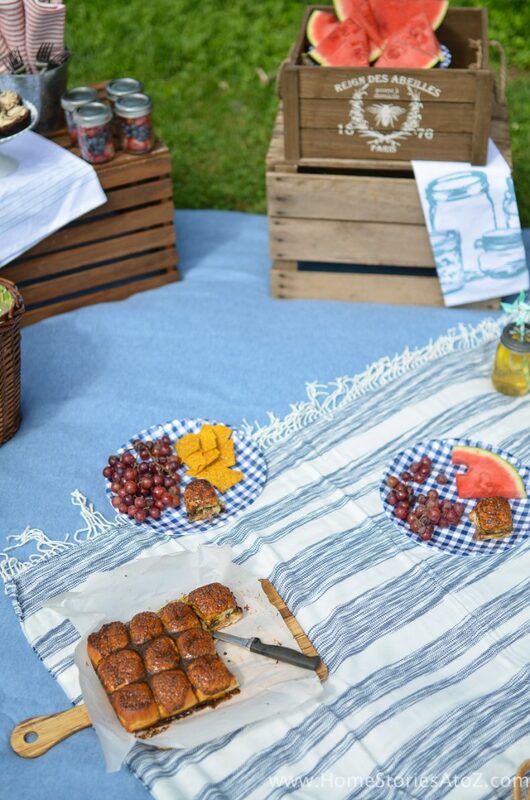 It looks beautiful and keeps the food neat, tidy, and within reach on the blanket. 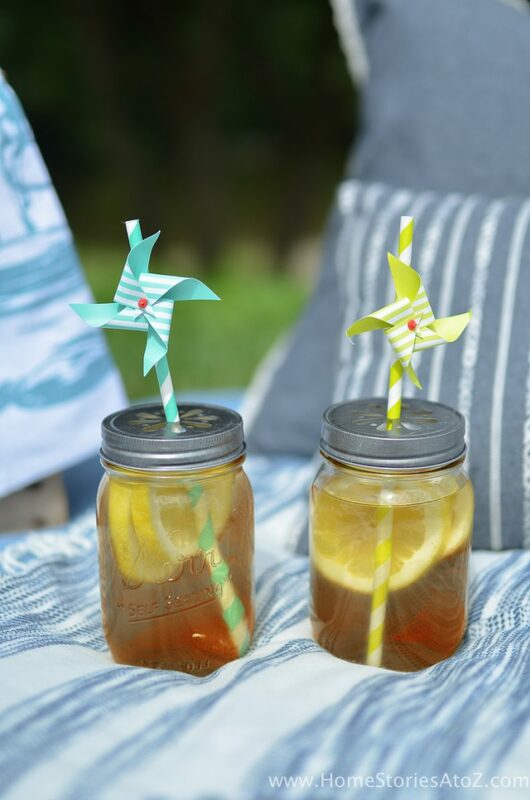 Tip 3: Bring plenty of beverages and stay well hydrated. 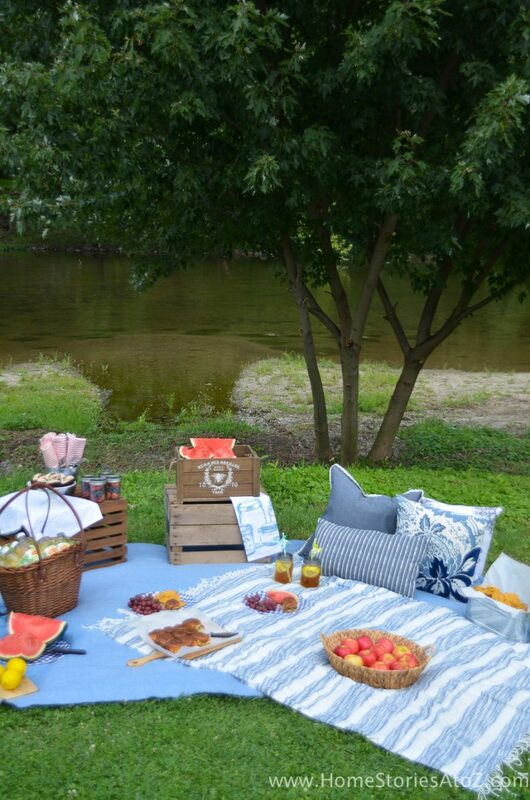 Be sure to bring along enough beverages for each picnicker to enjoy. 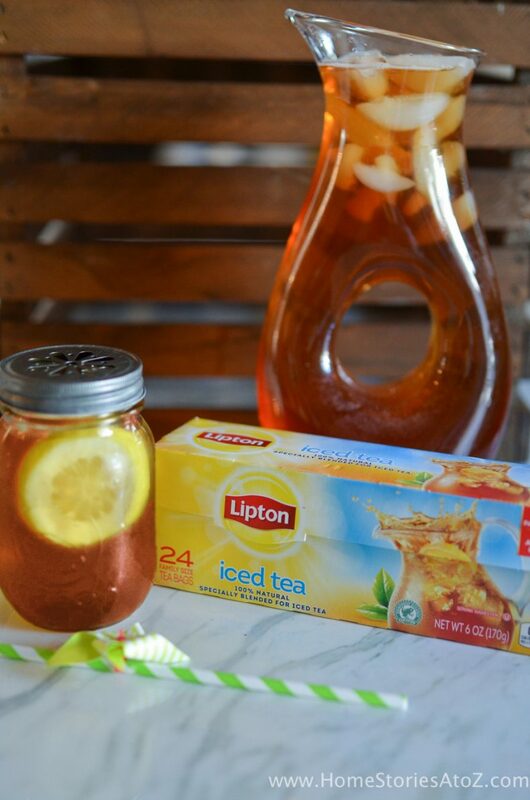 I like to make up a pitcher of Lipton iced tea which pairs perfectly with most picnic foods. 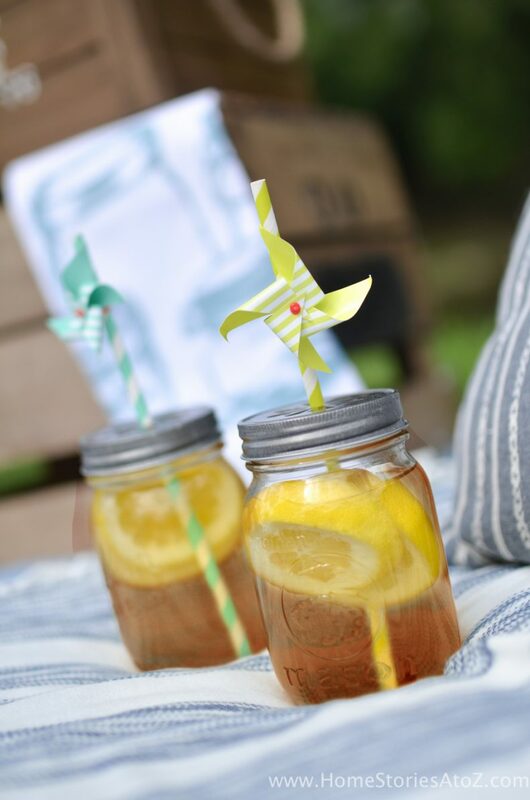 I pack the Lipton iced tea in individual mason jars, lined with sliced lemon, and topped with special mason jar straw lids. Special memories are often born from the little “special somethings” that we take the time to fashion, so I always like to pack some fun striped straws for everyone to enjoy. The iced tea just makes the meal! My husband and I often sip our tea and chat while the boys play in the creek. It’s a fun family tradition that we enjoy every summer! Tip 4: Pack easy-serve side dishes. Preempt any messy food mishaps by packing individually pre-portioned foods. 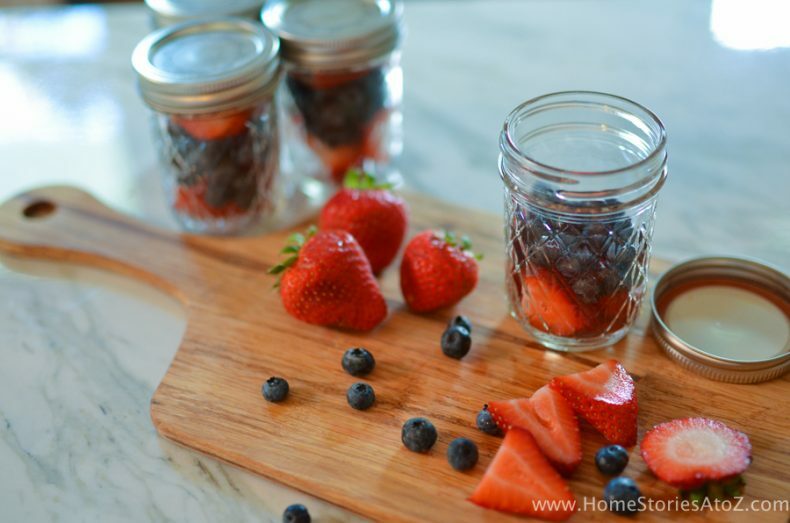 I often use small mason jars to pack salads, fruits, and other side dishes. Likewise, easy to grab brownies, cookies, cake pops, bars, whoopie pies, and cupcakes are much easier to serve and eat than full pies and cakes. Tip 5: Bring along some comforts from home. My kids always appreciate special family dinners, and I appreciate opportunities to teach them that memorable times together don’t always have to cost a lot of money. Decorating any space is about crafting the backdrop, and setting the atmosphere for memories to take place. 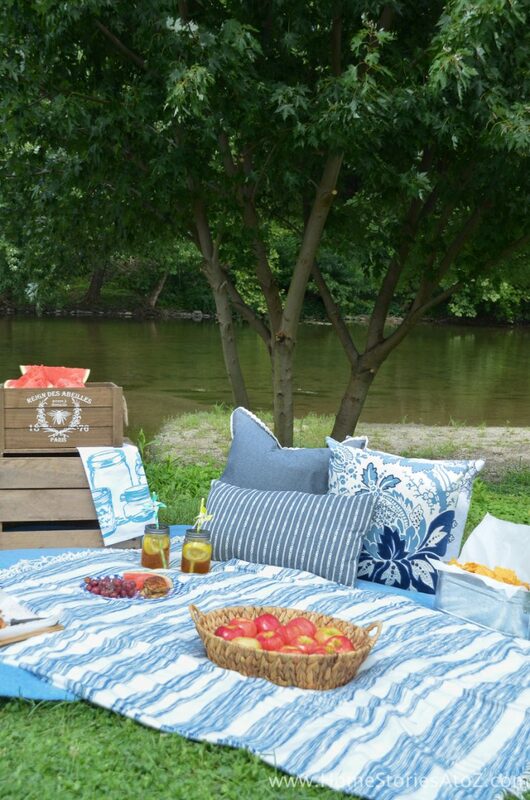 I love to craft my picnics with plenty of blankets, toss pillows, cloth napkins, and fun serveware. 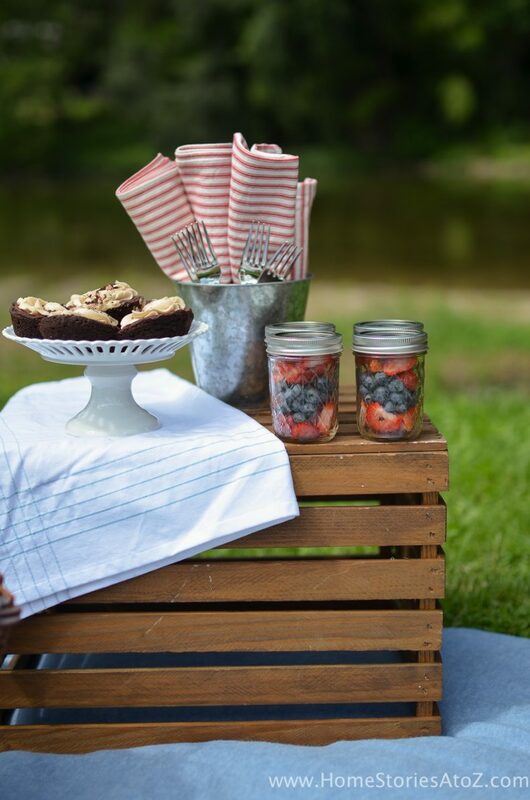 These cozy comforts help a simple picnic transform into a special occasion! 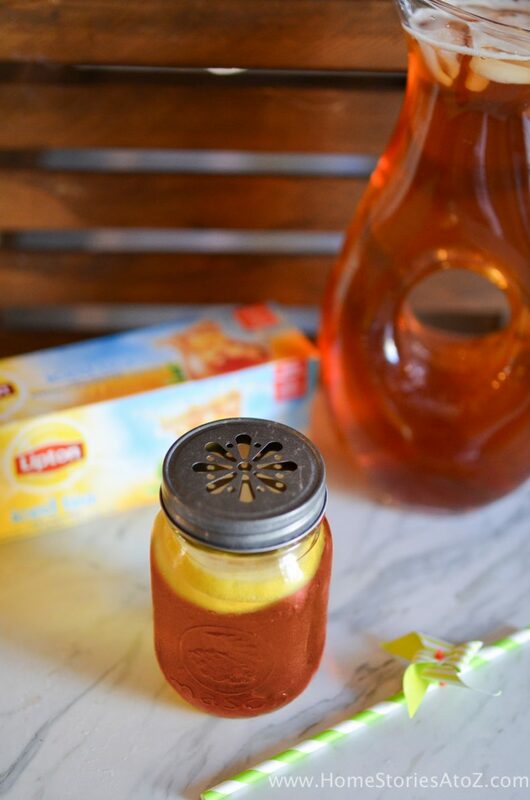 If you love iced tea as much as I do and want to learn more ways on how to make mealtime special, check out the Lipton Bright Bites website. Simply click here for some amazing recipes, videos, tips and more!